On the eve of the World Economic Forum East Asia 2015 the European Sting hosted His Excellency Mr Ignacio Kristanyo Hardojo, Minister and Deputy Chief of the Indonesian Embassy to the European Union. Mr Kristanyo talked exclusively to the European Sting in Brussels on the importance of Jakarta being the host city this year of the World Economic Forum East Asia 2015. Further, we managed to get some stimulating answers by him regarding Indonesian-EU trade and cultural relations. In the following interview the questions of the European Sting will be given as E.S. and the replies by Mr Ignacio Kristanyo Hardojo as I.K.H. E.S. : Indonesia is hosting the 24th World Economic Forum East Asia in just a few days from now. How is Jakarta welcoming this high level congress and what are your aspirations for this year’s edition? I.K.H. : Indonesia has hosted the World Economic Forum East Asia already in 2011 with a great success. The event then gathered around 600 participants from 40 countries. The discussion was the response towards the new globalism. 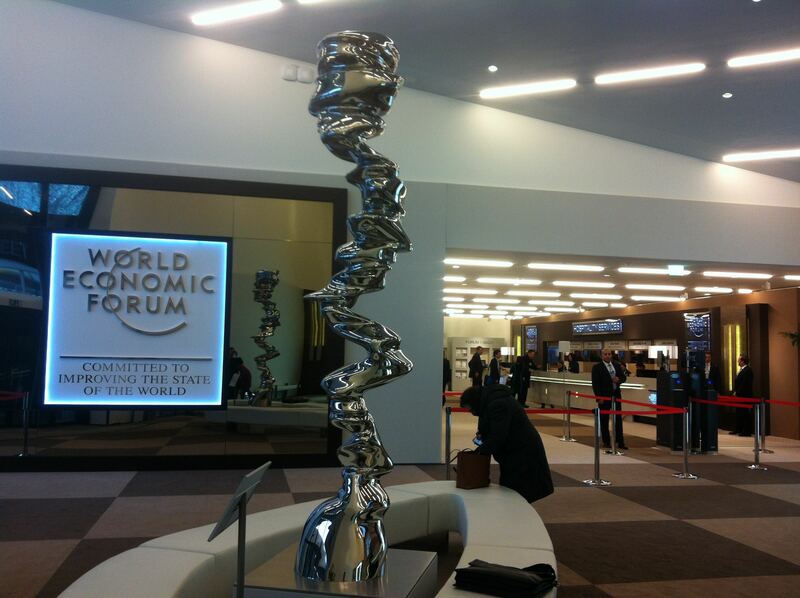 That was the first time ever for Indonesia to host WEF. Our President at the time, Mr Susilo Bambang Yudhoyono, in the opening ceremony of the Forum stated “ASEAN needs to be at the centre of this new globalisation”. Indeed for the past years ASEAN has been the driving force in the world economic growth and I believe it will continue to do so in 2015. There is an outlook report from the ASEAN different big banks: the region is projected to grow at 6,4%. Indonesia and Philippines, ASEAN member states with the biggest population, are projected to be the fastest growing economies in the region with an average annual growth rate of 6% and 5,8% respectively from 2014 to 2018 according to the OECD. Therefore it is timely to discuss this year’s World Economic Forum theme “Anchoring trust in East Asia”, this year in Jakarta, the capital of ASEAN. For Indonesia to host the WEF East Asia Event for the second time shows the international market and communicates high degree of trust to the continuous progress of Indonesia of shaping regional global debates. That was decided at WEF East Asia 2014, prior to the commencements of Indonesia’s general elections. This fact again shows the confidence of the international economies that Indonesia is a mature democratic state and its political transition is conducted in a peaceful manner. Stability is key for investor and market economy. Under the leadership of President Joko Widodo I believe we can contribute a lot in the upcoming WEF East Asia discussion; especially by sharing our commitment for growth. Moreover, WEF East Asia 2015 will be a good opportunity for Indonesia to attract foreign investors to our infrastructure development agenda. E.S. : After three years the Forum comes back to Jakarta, only 9 months after the newly elected President of indonesia, Mr Joko Widodo, came to power. What is the new momentum that the new President is bringing to the world’s fourth most populous nation? I.K.H. : It has been set out by President Joko Widodo that within 5 years we are planning to build among other things Indonesian power plants that will generate an additional 35 GigaWatts of electricity and 24 new sea ports that create better connectivity among islands within the archipelago. This project entails around 40 billion USD of investment; 60% of which is expected from foreign investment. The issues of sustainable development and green investing will also be important part of Indonesia’s position in the Forum. E.S. : Obviously Indonesia is the most important economy in ASEAN, representing around 40% of the ASEAN GDP (source European Commission). What are the latest evolutions of Indonesia’s leading role and crucial position in ASEAN? I.K.H. : Indonesia is indeed the largest economy in the South East Asia region. Indonesia is the 10th largest economy in the world by means of purchasing power and the 13th largest by nominal GDP. Based on that figure, Indonesia is the only ASEAN country that is a member and also I would add that it is the only ASEAN country that is member of G20. This list can certainly go on. E.S. : The ASEAN Economic Community (AEC) is to be launched by December this year. What are the current evolutions and challenges on the integration of the 10 nations into one single market? How prepared is Indonesia for this major economic development? I.K.H. : The main challenge for the ten members of ASEAN is really the different level of economic growth between the member states; that is the biggest challenge that we are facing. The real question then is how we can bring this about to become single market. 80% of the progress towards the AEC is already fulfilled for 2015. There are still a lot of things that we have to discuss between us to say that we are ready to become a single market. Regarding Indonesia’s readiness for the AEC, even on our own there is a lot of homework that we have to do. E.S. : As the World Economic Forum puts it, geopolitical tensions in East Asia endanger economic growth in the area. How does Indonesia evolve to be a pole of stability in East Asia? I.K.H. : The topic is highly relevant for our region. WEF East Asia 2015 is also an important momentum for Indonesia to introduce the AEC, the notion of a single market and production. A great transformation is currently taking place in which the centre of economy and geopolitics shifts from the West to East Asia. The region has 7% annual economic growth with a total of 40 trillion GDP. It hosts around 40% of the world’s trade. In the East Asia Summit last November in Myanmar, Indonesia through President Joko Widodo affirmed that the Forum is a very crucial one which aims at establishing security, stability and economic growth for the region. To create stability in the region Indonesia must assert itself as a “World’s Maritime Access” who plays a significant role among the Indian and Pacific Ocean region. This is done through several steps. First, taking an active part to determine the future of the Pacific and Indian Ocean region, PACINDO. Second, maintaining a peaceful and secure Indian and Pacific Ocean for world trade, instead of conflict of resources, territorial dispute or maritime supremacy hotspots. Third, encouraging the ASEAN partners in East Asia to play their roles in the ASEAN master plan and connectivity. Fourth, calling for cooperation in the sectors of energy, food security, manufacture and maritime conservation with the region. Fifth, but not least, calling for a stronger cooperation in maintaining the security of the sea. Particularly with regards to South China sea, Indonesia welcomes the commitment to implement the declaration of the conduct of parties in the South China sea, as well as to support the immediate establishment of the code of conduct in the South China sea through consultation. E.S. : How is the rapid expansion of digital and social technologies developing in Indonesia and ASEAN? What are the new trends in digital entrepreneurship, e-commerce, e-government? I.K.H. : Our President even before he gets elected had always pushed for the concept of innovation. Among others, it is digital innovation as well. Regarding the work of the Indonesian Embassy in Brussels, since 2011 in coordination with our Missions in Germany, Hague, London, Dublin and last but not least Finland every year we join CEBIT. The Indonesian representation at CEBIT shares a prominent pavilion and many Indonesian young digital entrepreneurs showcase their inspiring work. Further, we also conduct the IT Roadshow in Europe after CEBIT, where we perform matchmaking of Indonesian digital companies with European IT companies. For instance, in Dublin we have been engaging with Google on various projects. In Finland we have been in cooperation with Rovio and Nokia. Finally, Indonesia overall is a very well connected country. For instance in a country of 250 million people there are 300 million smartphones in the Indonesian mobile device market. E.S. : Wold Economic Forum sees corruption as an impediment of ASEAN growth. What kind of measures President Widodo’s government is taking against this important issue? I.K.H. : Discourse for ASEAN countries include factors such as corruption among public officials, corruption in government, corruption between administration and citizens, local business and foreign companies and also irregular payments recorded in paying taxes and critical matters. Corruption is a challenge for any region. Corruption is everywhere. We learn as well that corruption continues to be a challenge for the EU. EU anticorruption report shows that this phenomenon costs Europe around 120 billion euros annually and Europeans are deeply worried about corruption. According to Eurobarometer 76% of the Europeans think that corruption is widespread and more than half believe that the level of corruption in their country has increased over the past year. Indeed, corruption happens in EU, ASEAN and Indonesia; I don’t want to deny that. Agencies in Indonesia have put high ranking officials, including ministers, head of provincial governments to jail because of corruption. Even the father in law of the President’s son was convicted. The Head of Corruption Eradication Commission report says that a total of 2,5 billion euros was lost to corruption in Indonesia during the period 2004 to 2011, or 300 million euros on a yearly average. If I may, comparing the figures as reported by EU Commissioner for Home Affairs in 2013, it is estimated that 120 billion euros or USD160,2 billion is lost to corruption each year through the EU member states. So, I don’t know if this question should go to me or the EU. All in all, let me underline it; corruption happens in Indonesia. Indonesia’s corruption law considers enriching other people in lobbying as a form of corruption or political corruption, whereas again this is not the case in some member EU countries. Such recovery of stolen assets is a challenge against fighting corruption. Indonesia will continue its cooperation with the EU member countries as well as ASEAN to address the issue of asset recovery from corruption. Further, the eradication of corruption is a main priority of the government and we have taken a number of steps in that direction: first, enacting a number of regulations such as law on corruption eradication; second, developing policies to eradicate corruption through the enactment of the law on the implementation of administrative clean and free of corruption, collusion and nepotism. The national committee has been making a valiant effort in recent years yielding some results and some very high profiles investigation and arrest; third, adapting the national strategy for the prevention and combatting corruption in the longterm horizon of 2012-2025 and in medium term 2012-2014. At the international level as a state party since 2006, Indonesia has been working in this direction through the ratification of United Nations conventions against corruption to implement our focus on community-based corruption, prevention through intensive dissemination to young people, include anticorruption curriculum in schools, radio commissions, that discuss various problems related to corruption. Moreover, again at the international level we also encourage anticorruption cooperation in ASEAN to promote the interests of Indonesia such as capacity building. On asset recovery the government has worked with a number of foreign jurisdictions to solve asset recovery issues, yet still experiencing difficulties in getting those assets back that have been stolen by the corruptors. We have particularly signed a framework in ASEAN, MoU with Brunei, Malaysia, Singapore in 2004 on the regional cooperation combatting corruption in South East Asia. E.S. : What is the relative growth course of the Indonesian citizen life standards? What are the recent evolutions in education and mobility of citizens? I.K.H. : According to the 2013 UNDP report for the period between 1980 to 2013, Indonesia’s Human Development Index (HDI) has increased from 0,471 to 0,684, which is an increase of 44,3%, or an average annual increase of 1,14%. Between 1980 to 2013 Indonesian life expectancy increased by 12,2 years. This means also that the years of schooling increased by 4,4 years, and expected years of schooling increased by 4 years. Further, Indonesia’s Gross National Income/per capita increased by 206% between 1980 and 2013. Moreover, Indonesia’s 2013 HDI of 0,684 is above the average of 0,614 for countries in the medium human development group, and below the average of 0,703 for countries in East Asia and the Pacific. From East Asia and the Pacific, countries which are close to Indonesia in 2013 HDI rank and to some extent relation to population and size are Philippines and China, which have HDI rank 117 and 91 respectively. In addition, OECD reported that the formulations of Indonesian workers and firms that the government is in progress of conducting will be a key source of productivity growth. E.S. : Indonesia is the biggest Muslim country in the world. What are the opportunities and challenges for the future? I.K.H. : Indonesia is the embodiment of how Islam coexists in a positive coherence with democracy. However, it is of the very essence of democracy that pluralism flourishes in harmony. Indonesia preserves pluralism and democracy as an asset to progress in development. With a total population of around 237 million people, Indonesia is a home to nearly 200 million Muslims, 87,2% of the population. Religion wise the population also comprises of multiple religions besides Islam, including Protestant, Catholic, Hindu, Buddhism, Confucianism and other indigenous believes which have existed since the 3rd century. In the framework of Partnership and Cooperation Agreement with the EU, Indonesia posits dialogue as one of the strategic issues. Indonesia has conducted dialogues between MEPs in June and October 2011, with the objective to share information on how the government of Indonesia manages culture and religious diversity; particularly to protect the minority groups in the country. On 5 June 2013 Indonesia in cooperation with EPP in European Parliament organised a conference with the title: Multiculturalism and Diversity, the case of Indonesia. Still, in the framework of promoting Indonesia’s cultural diversity as a model for the EU, the EPP group in cooperation with Indonesia organised a photo exhibition of two European photographers. 30 Photographs of Indonesia, diverse religions and cultures were displayed in February 2014 at the European Parliament. E.S. : President Widodo has committed to eradicate religious extremism from this country by limiting economic inequalities. How do you see this tactic evolving? I.K.H. : President Widodo’s strategy is not mainly from the economic point of view. His tactic also involves “derradicalisation”. This is a programme to tackle all these current terrorist issues. Regarding education, the new President, in contrast to the previous one, he is putting more effort to have a moderate school curriculum towards the youth rather than a fanatic one. In our experience extremism did not come from Indonesia. Instead, they developed extremism in Indonesia through some organisations and fundamentalists but the soul of Indonesia, in my opinion being thirty years as a diplomat, we have a very tolerant environment. E.S. : Since 2011 the EU-Indonesia trade of goods has been stagnant and rather limited to the area of 25 billion euros (source European Commission). How do you see 2015 and 2016 evolving for EU-Indonesia trade? I.K.H. : To be frank, in my prediction if the situation remains like this, it will go down and it will go down very sharply. In my opinion the EU has imposed a lot of tariff barriers and non tariff as well on biofuel palm oil. That is really a very important product for Indonesia. I was really happy to hear that there was news from the EU asking all shops to put away the labelling of palm oil. This is a good sign but has not been fully implemented yet. The EU discriminates us in biofuel palm oil! They have many excuses to do that like deforestation, health issues, Orangutang animal protection but we already proved that those excuses do not stand. We have already sent a letter to EU with data analysis from independent lab experts from Europe and the US contradicting the claim that our palm oil causes cancer. The step that has been taken only last month is by the publication in the newspapers that now the EU is asking from European retailers like Delhaize or Carrefour to take out the product label in the products “no palm oil”. However, we have not seen yet this “change” in the supermarkets. EU is doing this to protect the European farmers. What we do want is a very fair play in a very fair game. We believe that when we are doing business it should be a win-win solution. E.S. : Does Indonesia aim for a Free Trade Agreement (FTA) or a Comprehensive Economic Partnership Agreement (CEPA) with the EU? What are the efforts undergoing in this direction? I.K.H. : We would like to have a CEPA with the EU, since it is more comprehensive and of a smaller scale than an FTA. FTA is too huge at this point. We are still in the scoping group session. Only a couple of weeks ago I talked about this with Commissioner Malmstrom. The next step is in May where our Minister of Trade is coming to Brussels to meet with the Commissioner, although it is tentative at this point following their meeting in World Economic Forum in Davos last January. As you can understand, Indonesia does want to resume CEPA discussions with the EU in 2015 and be able to conclude it in the years to come. Being the only ASEAN country that holds a Partnership and Cooperation Agreement (PCA) with the EU, we are optimist that it is of strategic interest for both parties to work productively toward a EU-Indonesia CEPA. E.S. : How are the cultural relations between Indonesia and the EU? Are there currently any cultural exchange programs that you are working on with your EU counterparts? I.K.H. : The EU-Indonesia cultural relations are very good. First, Indonesia has signed an MoU with the Catholic University of Leuven for Islamic studies, in which the curriculum is formed by our professors in Indonesia. We will be having lecturers in the Belgian University to teach classes for this course. On the other hand, we are also planning to send some Belgian students to study in Indonesia. It is an exchange of students dedicated for a Masters course at the university. What is more, we have also built a big Hindu temple in Indonesian style in the South of Belgium, for people to get to know more our culture and also the followers of the Hindu religion to be able to pray there. Several traditional events from Bali also take place at that temple. Moreover, we have extended programmes with EU journalists that travel in Indonesia and report the vast cultural heritage of this big South Asian country. E.S. : 2020 is a crucial year for the European Union. This is the reason why most EU strategies place this year as an important short term horizon. Could you give us a glimpse of the future in Indonesia 2020? What are your aspirations and ambitions? I.K.H. : Our ambition is first by 2020 Indonesia to become an emerging power of “World’s Maritime Access”; second we envisage plentiful of natural resources in Indonesia with a “demographic bonus” (rapidly growing working Indonesian population from 19-59 years) to serve as drivers of economic growth and power. We calculate 50% of our population to be between 19-59 year of age by 2020. Moreover, we expect that by 2020 our annual GDP/capita will be almost doubled to USD 8.000 to USD 9.000 and thus Indonesian people will have an increased purchase power. Furthermore, we want to have a more advanced and established relation with China with which the trade value will reach around 150 billion USD by 2020. Ignacio Kristanyo HARDOJO is currently the Chargé d’Affaires at the Embassy of the Republic of Indonesia in Brussels. Ignacio Kristanyo HARDOJO is currently the Chargé d’Affaires at the Embassy of the Republic of Indonesia in Brussels. Born in Manila/Philippines on May 1960, he took his post as the Deputy Chief of Mission to Belgium, Luxembourg and the European Union in June 2013. 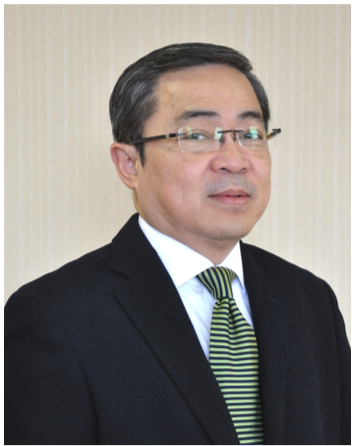 As a career diplomat, Hardojo joined the Indonesian Ministry of Foreign Affairs in 1986. Since then he held various positions at the Ministry and at the Indonesian Embassy abroad, as well as attending bilateral and regional meetings. From 2005 to 2008 Hardojo was the Consul General at the Indonesian Consulate in Vanimo, Papua New Guinea, and then the Director for Diplomatic Security at the Ministry of Foreign Affairs in Jakarta from 2010 to 2013. Hardojo was graduated from University of Indonesia, Faculty of Social and Political Sciences in 1985, and holds a Master degree in International Relations from University of Wollongong, Australia in 1990.